WITH the NBA Draft behind us, the next big event is the Summer League, and there'll be multiple Australians in action. In 2018, we'll see events take place in Utah and California, before the main tournament in Vegas. This year will feature all 30 teams at the NBA's marquee Summer League event. A number of Australians are confirmed on different rosters, headlined by the most recent year's college contingent. Landale is coming off his senior year with Saint Mary's, averaging 21.1 points and 10.2 rebounds per game. He'll run with the Atlanta Hawks, who open their Las Vegas Summer League with a match-up against the New York Knicks on July 8 (AEST). Cooks finished his senior year at Winthrop with averages of 17.2 points, 8.8 rebounds, and 3.6 assists per game. 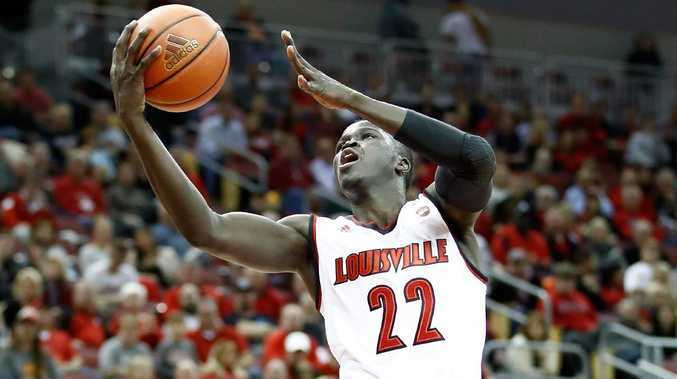 The 203cm-tall wing has signed a Summer League deal with the Warriors. The defending NBA champions begin with the California Classic before playing in the Las Vegas event. Naar signed a Summer League deal with the Phoenix Suns, coming off an impressive senior year with Saint Mary's. The point guard averaged 9.5 points and 7.9 assists a game in his last season with the Gaels, and begins his Summer League in Vegas, on July 7 (AEST). Adel is another player who went undrafted, after averaging 15 points and 5.2 rebounds per game in his junior year at Louisville. He'll run with the Houston Rockets, who begin their time in Vegas on July 7 (AEST), against the Indiana Pacers. Coming off his best season in the NBL, Creek recently announced that he would leave the Adelaide 36ers to play professionally in Germany. The athletic wing played with the Utah Jazz during last year's summer, but after a mini-camp with the Mavericks will play for their team in 2018. The Mavericks begin their time in Vegas with a July 7 (AEST) match-up against the Phoenix Suns.